A feast for the eyes and a journey for the soul – you can’t help but enjoy our breath taking journey cruising the Isle of Skye and the Inner Hebrides. Full of majestic and mystical sights bathed in historical folklore with its ancient structures gifted by man and nature. Unimaginable views are in abundance on this cruise. The Isle of Skye is home to a multitude of ancient castles, fairy wishing pools as well as the Old Man of Storr, featured in the iconic scene from the movie Prometheus. All of which is simply enhanced by the multitude of rare birds and wildlife. 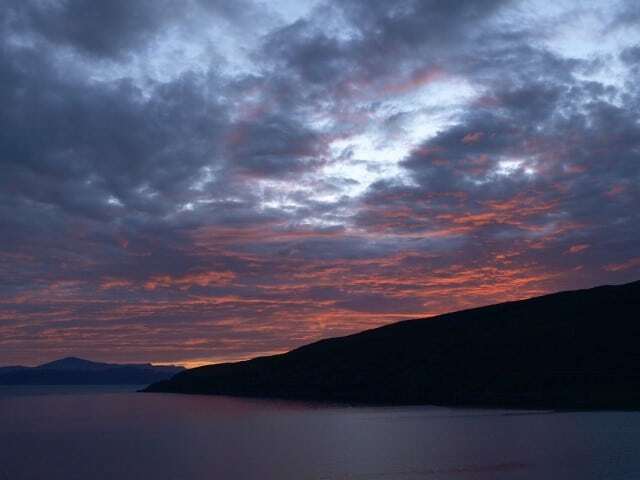 The Inner Hebrides and the islands most commonly known as the Small Isles provide an amazing array of wildlife and secret little bays awash with the spirit of Scotland. Set in a natural bay, it is largely protected from wilder weather and has some beautiful seaside shops to visit. At the top of the hill behind the bay sits McCaig’s Tower or the Folly as it is better known. Built in 1902, McCaig built the colosseum style structure as a lasting testament to his family and also to provide work for the local tradesmen. Despite it being a steep walk to the top, the views are spectacular. Oban also boasts a cathedral, castle and golf course and has a rich culture in traditional Scottish music and this is evident with its many festivals. The fresh seafood found here is a must, it is literally from sea to plate! The stunning village of Arisaig, meaning “The Safe Place” in Gaelic, is one of the finest the highlands has to offer. The word Arisaig means “the safe place” in the Scottish Gaelic language. Famous for its silver sands of Morar, where parts of the movie Local Hero was filmed, other films include “Breaking the Waves”, and scenes from the TV series “Hamish MacBeth” and “Monarch of the Glen”. Arisaig has been one of our most visited locations when our children where young. 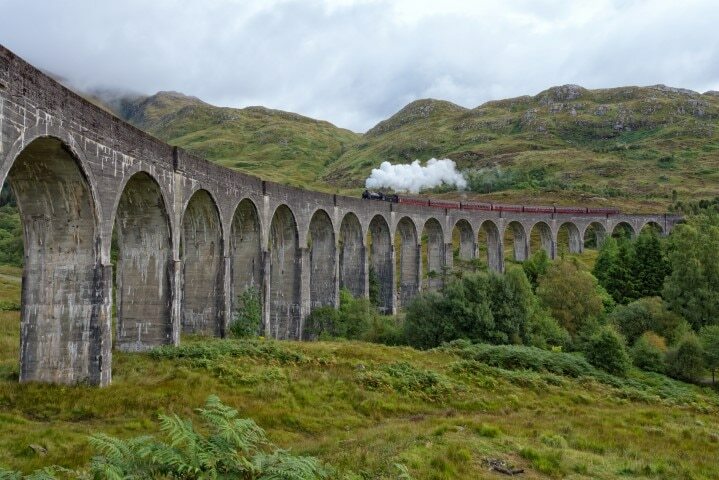 Parts of the Harry Potter were filmed there with its famous tree islands viewed from the Jacobean steam train. History has played its part here too as in 1746 Bonnie Prince Charlie left Scotland for France from a place near the village following the failure of the Jacobite rising of 1745. In 1801 “The Highland Clearances” came and tragically, over 1000 crofters were cleared off the land and shipped to Nova Scotia to make way for sheep. 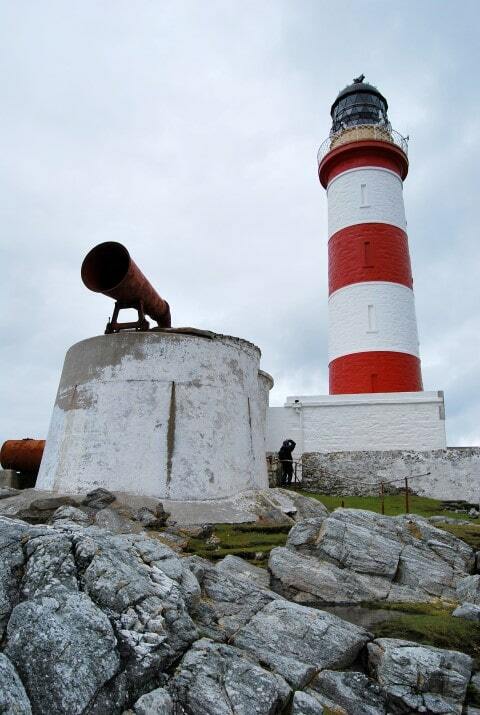 And in 1853, a local man called John Silver, went to work on the construction of the lighthouse at Barrahead. The lighthouse designer was Thomas Stevenson, father of Robert Louis Stevenson. Silver met Robert Louis on a few occasions and local legend has it that Robert Louis Stevenson took the name for his character in Treasure Island. 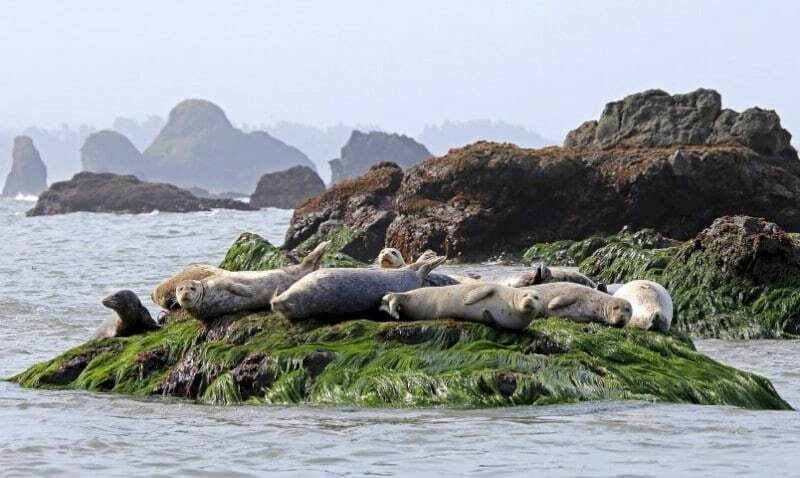 Steeped in history, this village has a collection of amazing beaches set in a coast of large grassy sand dunes, so you’re always going to have an abundance of wildlife. Minke whales, dolphins, porpoises, basking sharks, otters, puffins, shearwaters and much more – including sightings of killer whales, sea and golden eagles. You certainly will want to have your camera ready as we approach Arisaig. A working fishing port on the North West coast of Scotland, it is visited often by the famous Jacobite steam train from the Harry Potter movies. Full of character, it remains a tranquil place to visit and at just 200 years old it is rather a new town for Scotland. Benefiting from its new marina and the local art shops serving local artisans, Mallaig has one of the best wee fish and chip shops and has seen many drive from the central belt for the day and a fish supper – including us! Loch Nevis is a sea loch with shallow shingle beaches, imposing mountains at either side and unparalleled views of Ben Nevis. The shores are dotted with stone farmhouses from various dates throughout the ages. 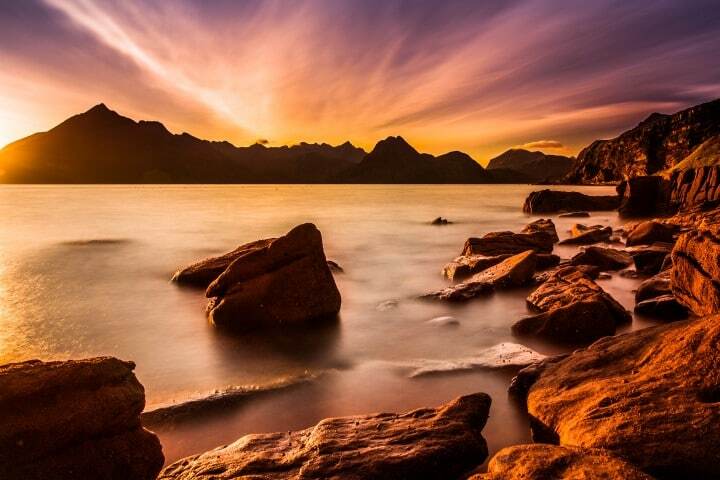 In the evening you can see the sun setting over the Isle of Skye which is quite something to behold. At the point where three great lochs meet and surrounded by majestic and graceful landscapes sits the famed Eilean Donan Castle. 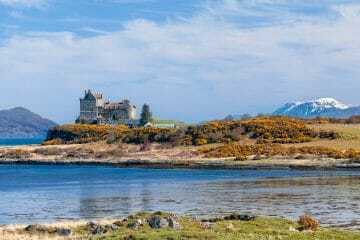 Easily recognised from many classic photos of Scotland it is probably the most pictured and iconic of all the Scottish Castles and one of the most visited attractions in the Highlands. Originally the site of a monastic cell in 634AD, the first castle was later established by Alexander II in the 13th century in an effort to help protect the area from Viking incursions. Since then at least four different versions of the Castle have stood and you can explore all the castle and journey through its history. Used as a location in the movie “Highlander”, it is said that once you have visited you will always yearn to return. 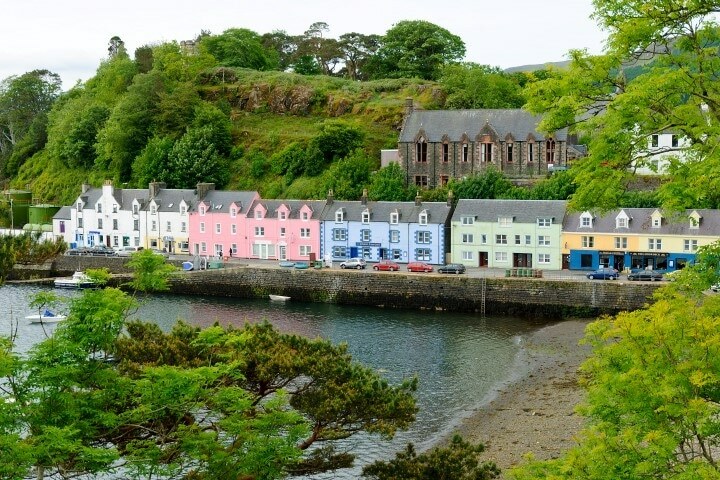 The gateway to the Isle of Skye, Lochalsh village has some beautiful whitewashed cottages that you can see from the water and fantastic views of the world famous Skye Bridge and the Cuillin Range. The surrounding landscape is a haven for deer – both red and roe, as well as golden eagles and otters. The world famous Skye Bridge was built in 1995 and linked Skye to the mainland. It is actually two bridges, which use the island of Eilean Ban as a stepping stone. The site of political turmoil when it was completed as a levy was charged to cross, many a dispute and stand-off was had and soon the bridge was free to cross. On the shores of Loch Carron, Plockton was the location for the TV series Hamish Macbeth, starring Robert Carlyle and was also used in “The Wicker Man”. Sitting in a sheltered bay, its temperate climate is home to coral beaches and stunning scenery at every turn. Considered one of the most sought after places to live or holiday in Scotland, it is always a pleasure to visit here. 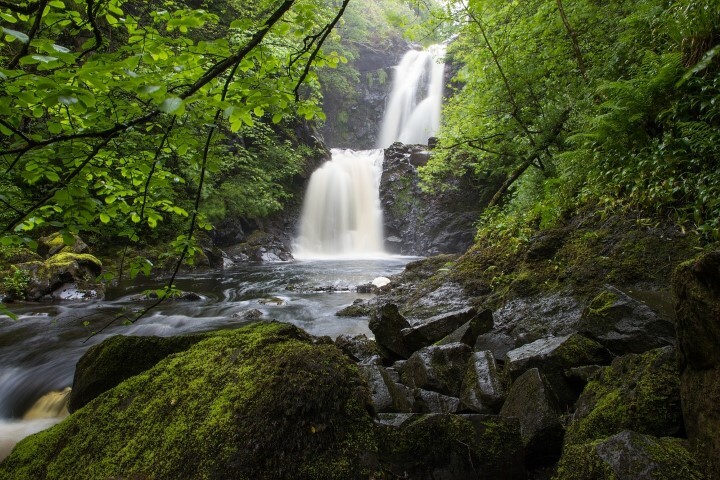 Meaning “The Sanctuary” in Gaelic the area is extremely isolated yet incredibly beautiful. 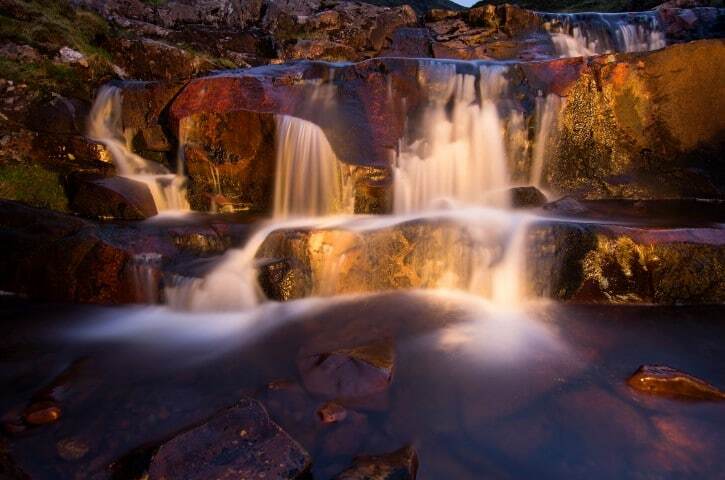 Applecross was only accessible by boat until the early 20th century and today it is a very popular place to visit. Historically, the settlement is linked with St. Máelrubai, a monk who came to Scotland in 671AD from the major Irish monastery. He founded Aporcrosanin 672 in what was then Pictish territory. The early monastery is located around the site of newer parish church built in 1817. A large, unfinished cross-slab standing in the churchyard and three extremely finely carved fragments of another preserved within the church are evidence of the early monastery. 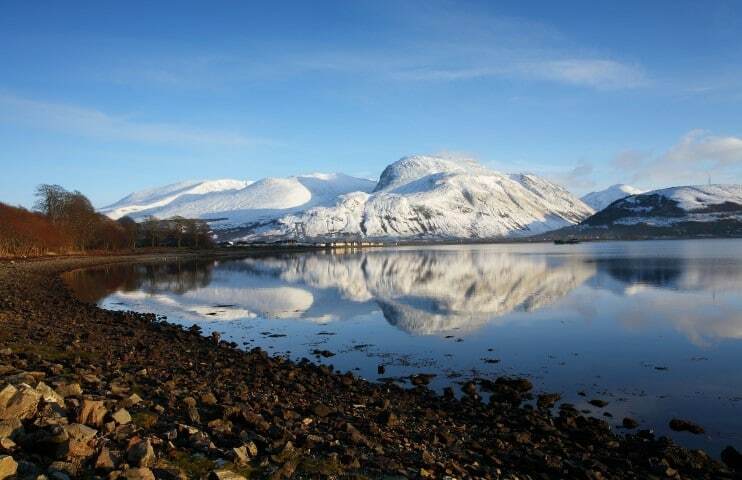 From the Norse language meaning Isle of the Red Deer, the island is home to Dun Caan – a unique flat topped peak of 1456ft and also Inverarish village – where many German prisoners of war were held during World War I. They were used to work the iron ore mines and create shells and it was reported to contravene The Hague conventions. Covered up by the government in 1920, much of the paperwork was destroyed. What is fascinating is that the locals used to regularly sneak food for the prisoners, supporting them however they could. The island was home to life more than 9000 years ago and was more densely populated during medieval times with remains of a 13th century chapel dedicated to St Moluag and the ruined castle at Brochel. Take time to look out for Golden eagles who are known to nest on the island. The main town on Skye was once known as Kings Port after its visit by King James V in 1540. Later, the town was visited by Bonnie Prince Charlie in 1746 as he bade goodbye to his love, Flora MacDonald. The island became more developed in the 1820s when Scottish architect Thomas Telford built roads to other developing towns. He was also responsible for the construction of the pier in Portree. The harbour is still the main focus for the town and is surrounded by a mix of brightly painted houses and stonewashed cottages. As a family, we love it here as it has a collection of good shops, great places to eat and some fantastic pubs! In the centre of Broadford Bay just off of Skye lies Pabay. A small privately owned island, it is one of the few islands that has been creating its own stamps since the 1960s to carry mail from the island to the nearest collection point on the mainland. On the east coast of Skye, Kylerhea is perhaps best known for its otter sanctuary. Timid and shy, these secretive creatures are less easy to spot than the seals who often bask on the shore. Stonechats, willow warblers and wood warblers sing from perches just off the path. Bold robins and chaffinches will hop around the path just inches away from your toes. 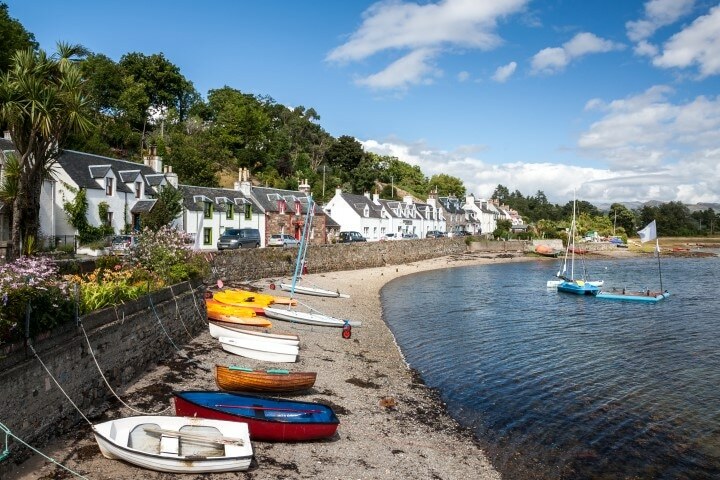 One of the most attractive villages on Skye sits on the edge of a spectacular natural harbour. The stone piers were constructed in the 1820s allowing the village to become a commercial fishing port for herring as well as a stopping off point for steamers travelling out from Glasgow. Due to the steamers arriving and the village becoming a popular tourist resort, Isleornsay became the first place on Skye to boast a public toilet. Overlooking the Isle of Ornsay, which is accessible by foot at low tide, the mainland mountains serve as the backdrop to the village and the views around the lighthouse on Ornsay are spectacular. 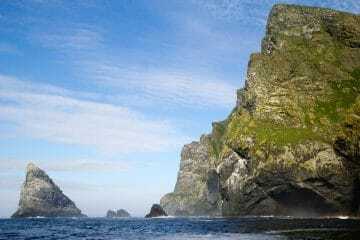 Just before we reach Armadale Castle, we will pass Knock Bay and the rocky headland on which sits Knock Castle. 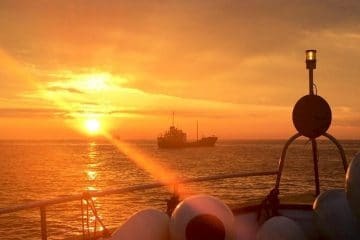 With sheer drops on each side of it, the best views are to be had by boat. Dating back to the 1400s the castle was a stalwart fortress that had its own protected harbour making it difficult to attack. Originally the site of an Iron Age fort, the castle changed ownership between the MacLeods and the MacDonalds before being captured by the forces of James I. Abandoned in the 1600s, the castle is said to be still home to its resident ghosts, the Green Lady and also a spirit who is said to watch over the local cattle and protect them from harm. The former home of the MacDonalds, Armadale Castle – a Scottish Baronial style mock-castle was built on the grounds of an earlier mansion house. Built more for show than for defence, part of the house was destroyed by fire in 1855 and the building quickly fell to ruin. More recently, the gardens around the castle have been maintained, and are now home to the Clan Donald Centre, which operates the Museum of the Isles. The Museum of the Isles tells a fascinating story – from the ancient settlers to Dalraida, through the times of the Celtic Church, the Norse and then on to the dynasty that is Clan Donald. Learn about the period known as the Lordship of the Isles, when the Hebrides was at its most prosperous up to the cattle raids and lawlessness of the age of forays and clearances. With the story told through artefacts and histories, the museum is also home to over 7,000 books covering all aspects of Scottish history, culture and wildlife. Just south of the Isle of Skye lies an archipelago of four small islands – Eigg, Canna, Rum and Muck. Made up of a column of lava, Eigg has a bloodthirsty history of clan rivalry that ended in the death of the islands entire population. Rum is a national nature reserve and is one of Britain’s last wildernesses and is home to the Manx Shearwater that glides straight winged along the surface of the surrounding coast. 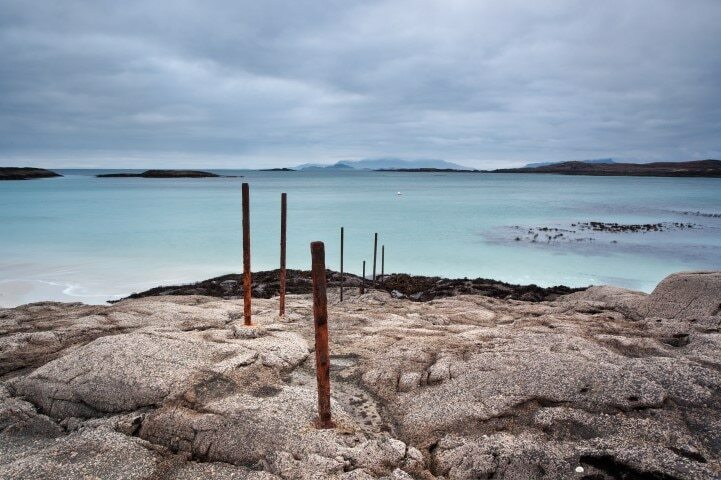 On the smallest island Muck, a dagger and a number of burial cairns have been found which date back to the Bronze Age, whilst thanks to the Gulf Stream, its waters support a number of rare crabs, small purple sea urchins, and the only British Coral, the “Cup Coral”. Canna, the last of the Small Isles is the archetype of Hebridean islands and displays evidence of the once great volcanic forces which have been at work in the earth’s crust. Wildlife is abundant here both on land and sea allowing you to see nature at its best. This trip was amazing! the staff where very attentive to all of our needs and the food was truly something to write about. One of the most enjoyable cruises we have ever been on and look forward to seeing you all this year.